Guatemala’s landscape inspired Maya legends, and it continues to make an indelible impression. You’ll see why when you visit Lake Atitlán, coffee plantations, and volcanoes. Rainforests here contain the remains of powerful Maya cities, as well as lively populations of monkeys and exotic birds. Guatemalans have been tested by numerous political upheavals, but they maintain a welcoming culture as well Maya religious practices and festivals. Hoping to stay longer than 30 to 90 days? We have the answers to frequently asked questions about Guatemala. Looking for some expert help planning your trip? We’ve got you covered. We’ll help you pick the best time to visit Guatemala. Getting to Guatemala — Let us help you pick your transportation. 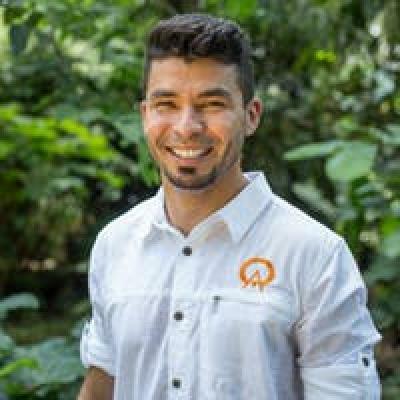 Concerned about staying healthy in Guatemala? What should I bring to be prepared for the weather in Guatemala? Got questions about money and budgeting? Planning a visit to Guatemala? Check out our guide to Guatemala’s government and economy. Want some tips for safe travel in Guatemala? Guatemala is located in northern Central America, and it borders Mexico, Belize, Honduras, and El Salvador. It’s fairly large for this region — at 42,042 square miles (108,889 km²), Guatemala is approximately the same size as Tennessee. On your travels you’ll see dramatic changes in the landscape. The central and western regions of the country are home to volcanoes and mountains. There are several large lakes – including Lake Izabal, Lake Petén Itzá, and Lake Atitlán – that are lovely and surrounded by small Mayan villages. The northern region of Petén has dense tropical jungles, while the Pacific coastline is punctuated by mangrove swamps. Mayan city-states were once scattered across the country, and many of their structures have survived. From the massive temples at Tikal to the intricately carved stelae at Quiriguá, it feels like you can’t go more than a few miles without running into a thousand-year-old ruin. For this reason, Guatemala is a popular destination among amateur archeologists and history buffs. Guatemala also has a great deal of tradition alive today — many towns still hold onto the beliefs and practices of their ancestors. This is most evident in the towns along the shores of Lake Atitlán and Lake Petén Itzá and in places like Todos Santos Cuchumatán. Guatemala is extremely accessible to travelers, especially those coming from North America, where flights are quick and fairly cheap. The country’s tourism infrastructure is sound, which makes it easy to get around and explore all sorts of places. Guatemalans are a friendly and welcoming bunch. The landscape here varies greatly and includes everything from jungles to volcanoes to mangroves. The elevation also fluctuates significantly from one part of the country to another — you can start your day at sea level and end up at over 14,000 feet (4,200 m) by the afternoon. Coastal areas tend to be warm and tropical, while mountainous areas are cool and alpine. Indeed, climate is largely determined by location in Guatemala, especially as it pertains to elevation. Simply put, the higher up you go the lower the temperature be. Rain often varies depending on what side of a mountain chain you’re on. Guatemala does, however, have a rainy and dry season — the dry season usually lasts from November to May, while the wet season lasts from May to November. During the rainy season, the mornings are usually dry and sunny, with rain coming down during the afternoon. The volcanic highlands spread across Guatemala, all the way from El Salvador to Mexico. There are 33 volcanoes in total, many of which can be climbed and some of which are active. The most frequently climbed volcanoes include Acatenango, Pacaya, and Agua. Volcán Tajumulco, at 13,845 ft (4,220 m), is the highest spot in Central America. Guatemala’s non-volcanic ranges include the Sierra de los Cuchumatanes, which is Central America’s highest mountain chain. Guatemala’s northern region of Petén is vast and covered almost entirely in tropical forests. This Ohio-sized area has large swaths of forest, especially in its northern third; the southern sections are, however, suffering from deforestation. This is also home to the Maya Biosphere, the largest protected tropical forest in North America. Agriculture is big in Guatemala, especially in places along the Pacific Coast flatlands — this area is home to huge coffee and sugarcane plantations. The Pacific Coast also has large mangroves and wetlands, as well as beaches with dark sand — a result of the nearby volcanoes. The Caribbean Coast of Guatemala is small, but it does have dense tropical forests and a few white-sand beaches. Guatemala’s history is plagued with civil wars, foreign conquests, and government coups. It was once home to powerful Mayan city-states, but since then its history has been largely a series of land grabs and internal conflicts. While some of this still exists today, Guatemala is undoubtedly moving in a peaceful direction. The cultures you’ll encounter will largely depend on what part of the country you visit. The Spanish invaded Guatemala in the 16th century and their influence continues to dominate much of Guatemalan culture. Along the Caribbean Coast you’ll meet the Afro-Caribbean Garífuna, while along the shores of Lake Petén Itzá you’ll see traditional Mayan communities. Despite a growing economy, there is a significant wealth gap in Guatemala. Many of the Guatemalan elite are direct descendants of Spanish colonial-era families, while some of the poorest Guatemalans are indigenous people. Indeed, race and social standing are intimately linked in Guatemala. Guatemala has the largest economy in Central America. Since the peace accords of 1996, the Guatemalan economy has enjoyed a steady upswing. Moderate development has accompanied this growth, largely due to tourism. Tourism has played a big role in the Guatemalan economy, and currently employs around 35 percent of the population. The money from tourism often stays in communities and continues to help with local development projects. Guatemala’s environmental resources are balanced precariously in the equation between development and sustainability. Guatemala’s population is increasing and putting more pressure on the environment. Unfortunately, development is taking precedence at the moment — it’s still common to clear forests with slash-and-burn agriculture to make way for big construction projects. There is a fledgling environmental movement in Guatemala, but it has a ways to go before it can efficiently protect the country’s vast resources. See Maya temples, gorgeous natural formations, and colonial cities. Pack your itinerary with adventure, culture, and local art. You can find laidback, backpacker vibes as well as plush, all-inclusive resorts.